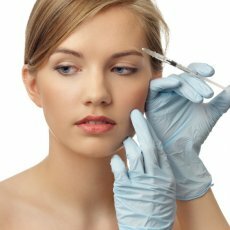 Hyaluronic acid therapy is becoming a popular choice as a temporary filler for facial augmentation. It is a safe, procedure that conveniently softens facial lines and furrows. 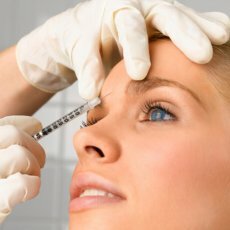 Hyaluronic acid is native to the body so fillers also have the added benefit of not requiring skin testing before use. We use Teosyal™. Tiny quantities of hyaluronic acid are injected into the skin, this encourages our skin’s own production of hyaluronic acid. Depending on how many lines are targeted, the treatment could take anywhere from 20 minutes to an hour, with minimal discomfort. Most Hyaluronic Acid fillers also contain a numbing agent, making this procedure virtually pain free. 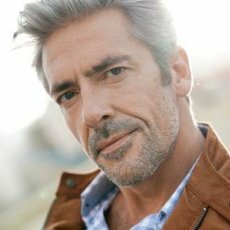 The effects of the filler can be maintained by small ‘top-up’ treatments as required, generally about twice a year. Hyaluronic acid is a natural compound that is found in extracellular tissue space, and acts as a binding, lubricating, and protective agent. In skin tissue, hyaluronic acid is a viscous substance found between collagen and elastin fibers. With age the body’s natural store of hyaluronic acid diminishes. In the last 3 decades, artificial forms of hyaluronic acid have been developed and used to in different medical fields. Teosyal is 100% animal free. 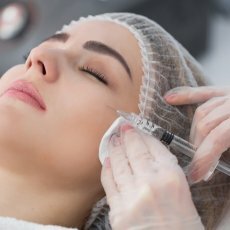 Hyaluronic acid injections can be used as a dermal filler to improve the skin’s appearance and reduces the marks left in the skin due to scars or injury, and signs of aging. Who is suitable for hyaluronic acid therapy filler treatment? Most people can receive hyaluronic acid treatment. Because hyaluronic acid is chemically identical within and between species, allergic reactions to it are very rare. During your consultation with us we will discuss whether or not you require a skin allergy test before starting hyaluronic acid therapy. Who can administer hyaluronic acid treatment and where are clients treated? 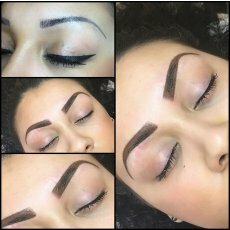 Treatments are carried out at Global Health and Beauty clinic which is a medical facility fully equipped with all the latest equipment. Our practitioners are highly trained doctors. 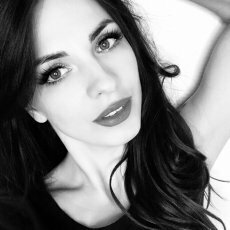 How long do hyaluronic acid implants last? Hyaluronic acid implants are not permanent. Like natural hyaluronic acid, synthetic hyaluronic acid, once injected into the skin, will gradually break down and be absorbed by our body. The effects can last between 3-9 months. 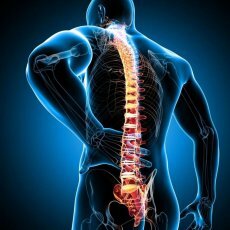 Most people require 2 to 3 treatments per year. 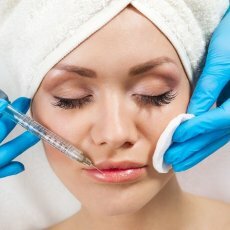 Hyaluronic acid therapy is generally very well tolerated. Often patients report minor discomfort. This is minimised by the use of a local anaesthetic. Immediately after treatment the area may be red, swollen and sore, but this usually improves within a few days. Allergic reactions to hyaluronic acid are very rare; these are generally red and/or thickened nodules arising in the injected sites which may persist for several weeks or months.